You’re invited to join Awaken Women as we reclaim the abundance of Summer. Prepare yourself to purse God’s direction and design for fruitful friendship in community. Our mission this Summer is to commit to our sisters in Gospel community as we cultivate faith and fruitful friendships. We need one another pointing us back to Jesus, the only friend who satisfies all in all. Fruitful friendships take time, commitment, embracing the broken and messy, loving with truth and grace, great humility and faith that God desires for us to be in community with one another. It’s going to be a season of worship, fellowship and fun! Mark your calendars now! 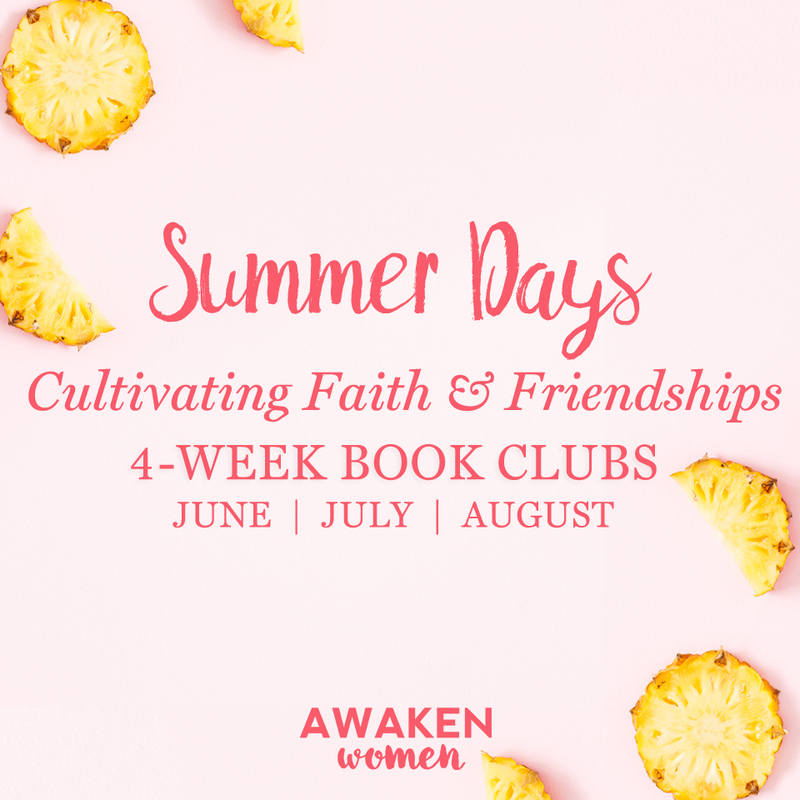 For more details and vision to our Summer Series, join the conversation in our Awaken Women Facebook Group. We both welcome and need your help in hosting our Summer Series. Even if you’re not sure how you can serve or can only help for a portion of the Summer, we’d love to connect with you! Please complete the form below and we'll be in touch with you soon.